In November two of my passions were fused together. 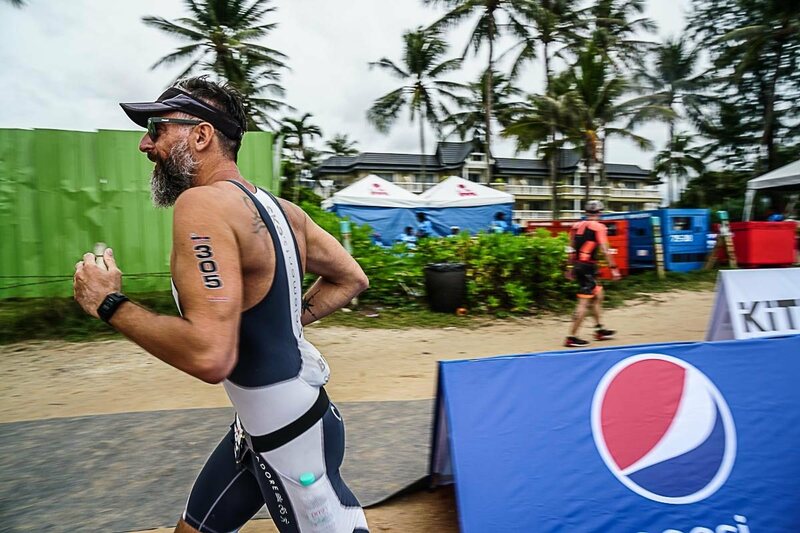 Triathlon and Thailand, more precisely, Ironman and Phuket. 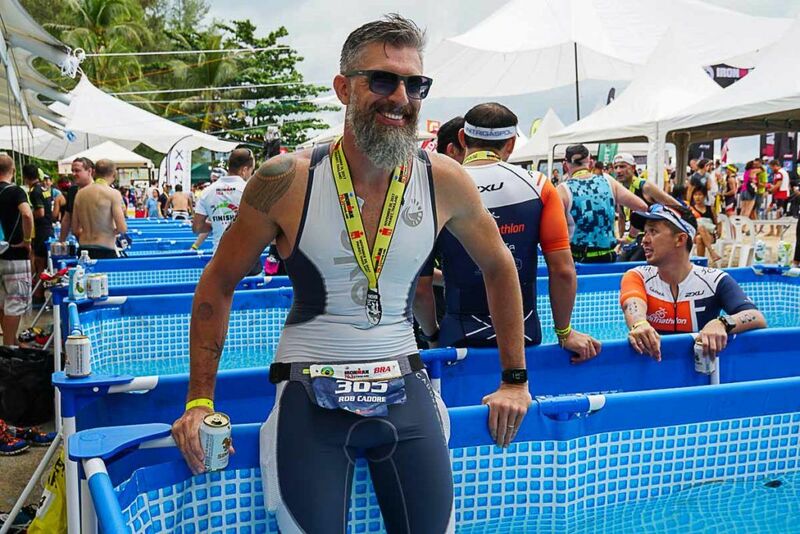 I’ve raced the Ironman Thailand 70.3 that took place in Phuket on November 26th. From time to time I get strange looks when mentioning the Ironman competition. People ask if there is anything to do with Tony Stark. The answer is “nope”, the Ironman triathlon started back in 1978, gained popularity throughout the 2000’s and now it’s booming all around the world. Ironman has two types of triathlon competition. The “full” Ironman that consists of swimming 3.8km, cycling 180km and running 42km and the “half” Ironman or Ironman 70.3. As the name suggests it’s half of the length, so swimming 1.9km, cycling 90km and running 21km, and it’s this one the half Ironman Thailand that I did! 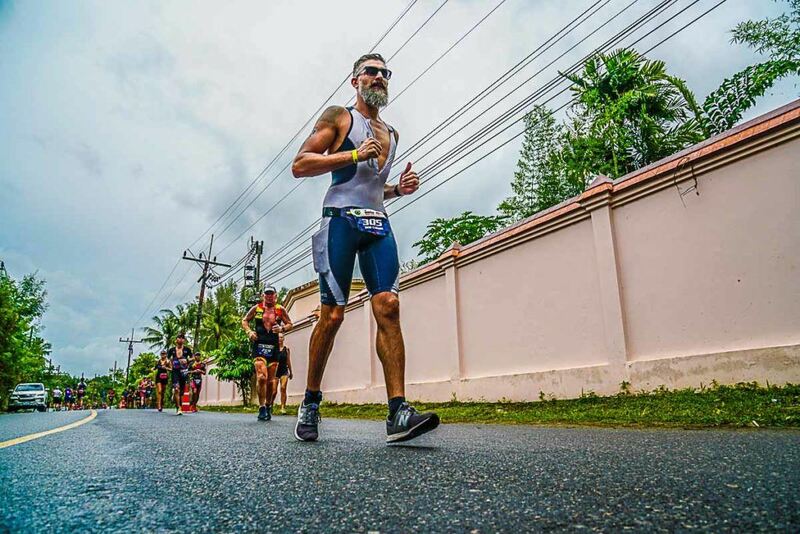 Why race the Ironman Thailand in Phuket? Well, Phuket is one of my favorite holiday destinations in Thailand. 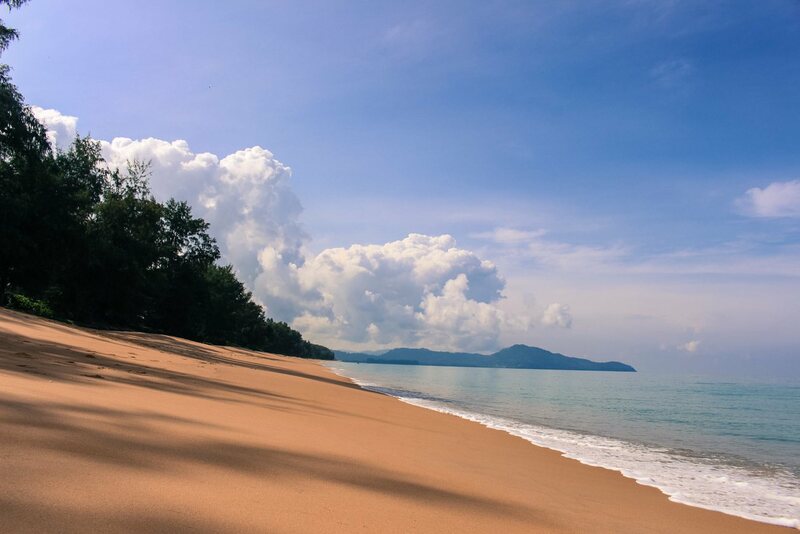 It offers sandy beaches with a calm sea, from desert ones as Mai Kao to the busy Patong beach. In addition to beaches, there are tropical jungles, mangroves and of course, the crystal clear waters of Andaman sea, absolutely great for snorkeling and diving. Thai cuisine is another reason why I keep returning to Phuket. You can taste delicious Thai dishes at the night markets or unique restaurants as Raya and Kan Eang Pier Restaurant. 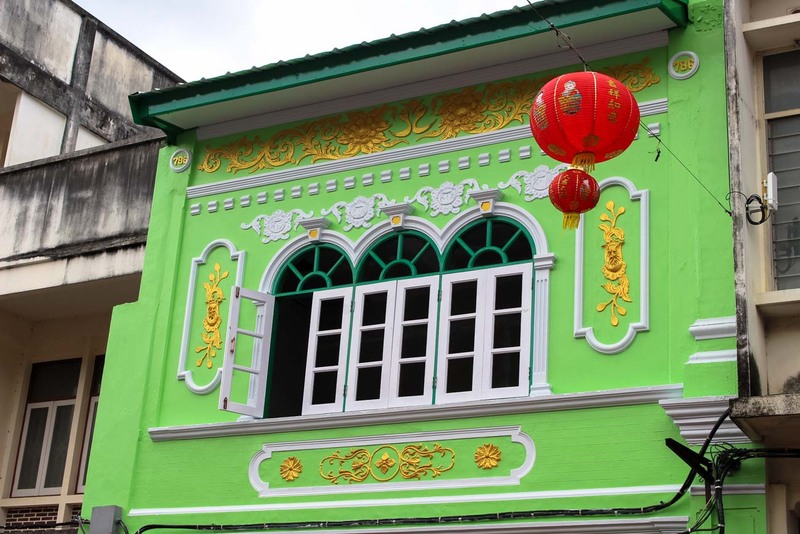 Fans of architecture and history will dig Phuket Old Town and its Sino-Portuguese buildings. If you are into shopping there are a couple of big malls and countless shops selling souvenirs and local crafts. 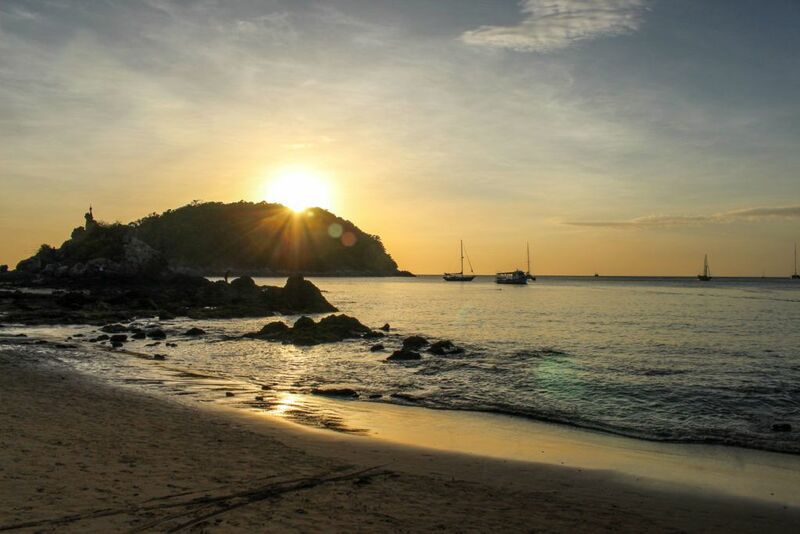 You can use Phuket as a base to explore nearby islands and attractions as there are daily boats to Phi Phi, James Bond Island and Similan Islands. I discovered the “sporty” side of Phuket back in 2015 while training to Paris Marathon. While on the island, my training ranged from 15 to 28 km and most of them were done around Patong beach, the busiest beach of Phuket. Although it is very quiet during sunrise and the temperatures were pleasant for running, the stunning views and sunrises were my motivation to train. As I mentioned before, the sea is usually calm, without strong currents. I’ve swum in Kata, Karon, Surin, Mai Kao and Kamala. All of them were absolutely stunning! I didn’t have the chance to cycle in Phuket although I drove a motorbike around the island and saw many cyclists. From my perception the drivers respect the cyclers but in some points the roads are quite narrow. In my opinion, Phuket is a great triathlon destination because you can combine a great Ironman race with a relaxing getaway. You can travel alone, with your friends or with your husband, wife, kids… it’s the perfect destination for either a family holiday or a romantic getaway. 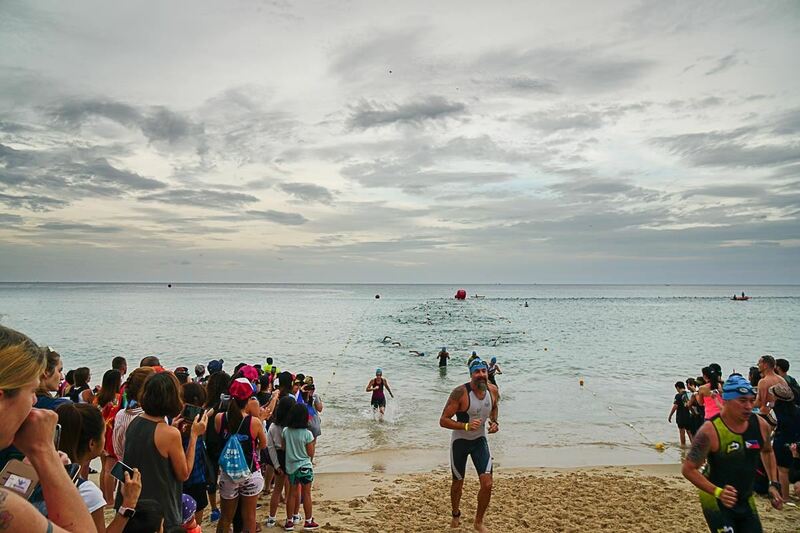 Ironman Thailand 70.3 takes place in Bang Tao Beach and its starting point, transition 1, transition 2 and finishing line are basically around the same premises, which is awesome for spectators and athletes. These are the some of the reasons why I decided to join Ironman 70.3 Phuket but I can give you at least 60 more reasons to do it, there will be 30 qualifying age group slots for the 2018 Ironman 70.3 Championship to be held in South Africa and 30 slots for Kona in Hawaii. The best area to stay when racing the Ironman Thailand is around Bang Tao beach. There are several luxury resorts, mid range hotels and apartments for rent in the area. Our choice was Angsana Laguna Phuket, the official hotel for the competition. I wanted to be right on the spot where the action would happen. It was easier to attend the race briefing, to do the bike check-in, and I didn’t need to wake up “super extra” early on the race day. On top of the convenience, the resort has great facilities and amazing rooms. The hotel was well prepared to receive the event and the athletes. The breakfast at 4 am on the race day was a plus. A detailed review on each course you will find further on the post. The race course maps are available on this page. Bear in mind that the organisation might change the courses to guarantee the safety of the athletes. 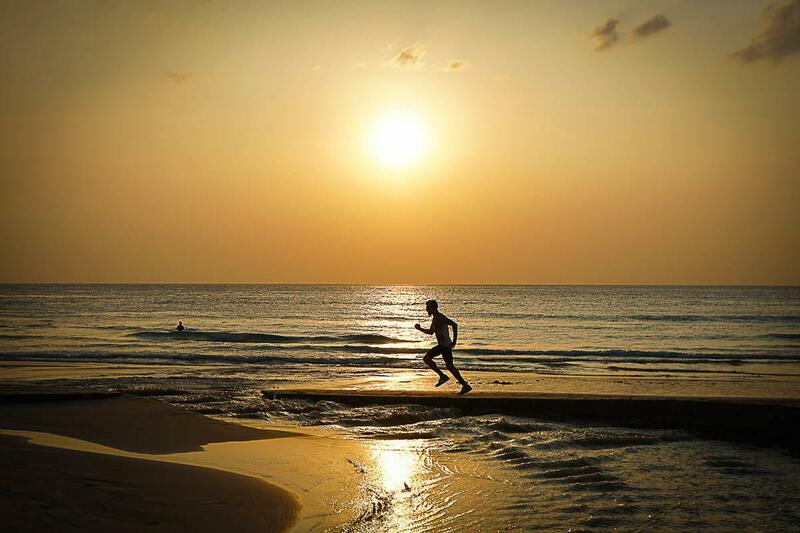 Sunrise Events is behind the organization of Ironman 70.3 Thailand in Phuket. It was the second time they manage this race and they put together a great event. They have a long tradition in managing triathlon competitions in the Philippines and Vietnam. Be ready to sweat. November is usually the end of the rain season with temperatures ranging from 24C to 30C and humidity usually over 75%. At this time the island still gets some rains, especially at night. In 2017 the temperature wasn’t that hot what helped a lot the athletes. Fingers crossed for a not so warm day on the race next year! 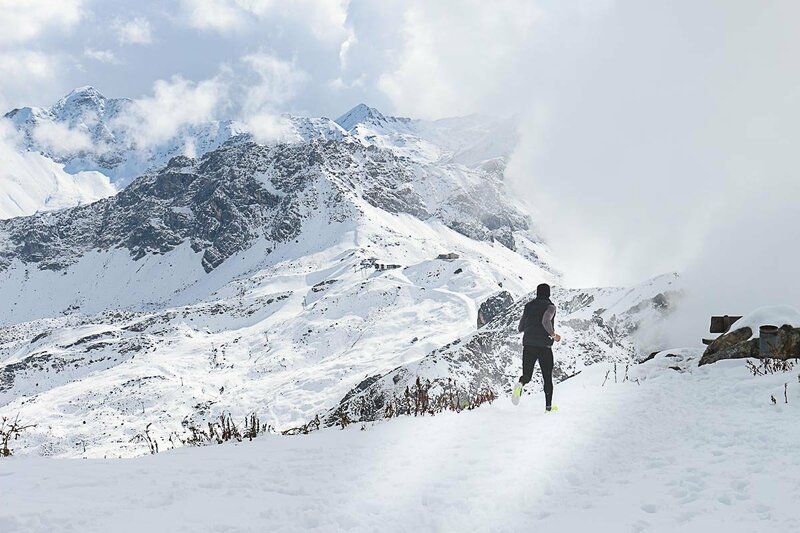 To train for Ironman you need time, willpower and dedication. I don’t have any issues with that, my only issue is following a routine. Being a full time traveler adds on an extra challenge. My trainings for Ironman Thailand was partially in Brazil, Italy, Romania, Austria, Switzerland, Portugal, Taiwan and Thailand. Changing countries every week or so, made it hard to establish a routine. I managed to run well but my swimming and cycling training was almost non-existent. But that makes me believe that anyone can train and race an Ironman 70.3, if I can do it with this crazy traveling routine, anyone can do it too. During my 3 years of non-stop traveling, I managed to train and complete the Paris Marathon, the Angkor Wat Half Marathon, the Chiang Mai Half Marathon, the Ironman Langkawi in Malaysia and the San Fermo Trail in Italy. Now I added the 70.3 Ironman Phuket to my list. Swimming: comfortable goggles and a swimsuit or pair of shorts are essentials. 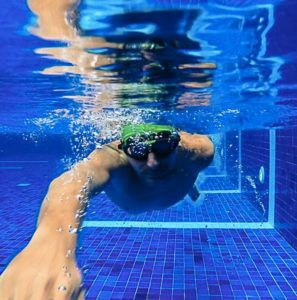 You can add several accessories to help on your trainings but on the race day you will need only your goggles and your swim garment. Cycling: here is the tricky part, because the sky’s the limit when it comes to bikes. Bike parts, helmets, shoes and much more. 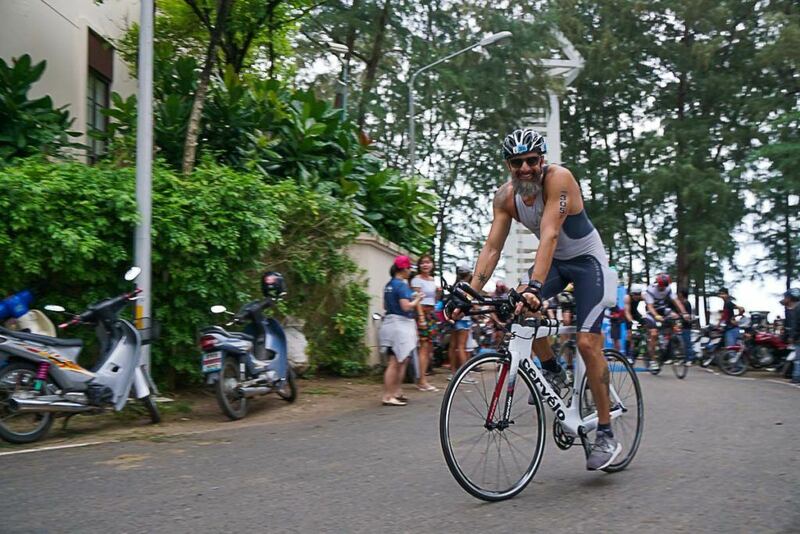 On my first Ironman I raced with a Felt, on the second one with a Volt and in Phuket 70.3 I had a Cervélo P2. Running: the easiest one! Buy a VERY comfortable pair of running shoes. I’ve tried a few brands as Adidas, Saucony, Asics and New Balance. My favorite brand is New Balance, their running shoes are extremely comfortable and stylish, and don’t forget about socks with good cushions and a comfortable pair of running shorts. Having a watch to keep track of your performance helps a lot. I can recommend 2 brands, Garmin and TomTom, I have used them both and their gadgets are top quality. Currently I’m training with my TomTom Spark 3 Cardio + Music. It’s an awesome watch that comes with wireless earphones and a capacity to store up to 500 songs, enough soundtrack for your Ironman 70.3 training. To be honest, this list can go on and on, nutrition is very important (there are carb gels, mass gainers, recovery shakes…), compression clothes, sunglasses, backpacks, sunscreen and more. The time has come and the race is done. 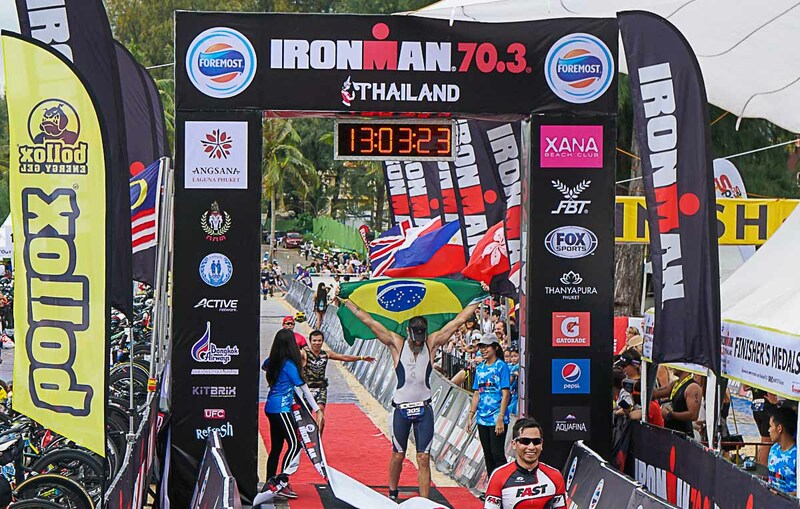 I have completed the Foremost Ironman 70.3 Thailand and I can say that it was an incredible race. Let’s break it down to pre-race, race and finishing area experiences. Athlete Registration: there was no queue and I registered myself in less than 10 minutes. In the goodies bag there was a magazine with the official program which was very handy. Expo: I found the Expo quite small comparing to other races. Although the shops were loaded with everything you might need in the last minute. I’ve bought extra tubes, co2 cartridges, some tools and electrolyte capsules there. Bike Service: Bikezone Thailand was in charge of the Bike Service and they were brilliant. Several services such as brake adjustment, chain lubrication, changing tires/tubes were free of charge. 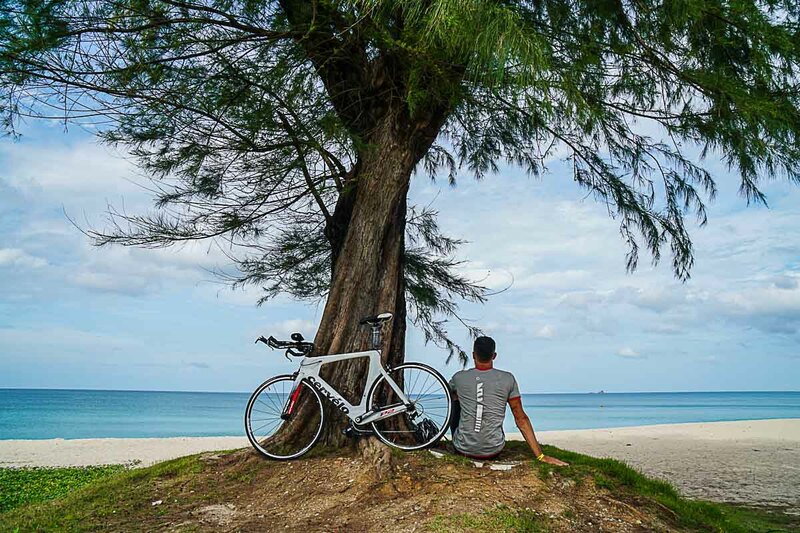 Top tip: Bikezone Thailand offers top quality bikes for rent, so you can avoid the hassle of traveling with your bike. I’ve rented a Cervelo P2 to race the Ironman Thailand, the bike was impeccable. Big thanks to Tri, Bank, Ham and the team, you guys are stars! Carbo Load Dinner: this was by far the best pre-race dinner I’ve ever had. The quality and the variety of the food were absolutely delicious. You could choose Western and Asian dishes, vegetarian and Paleo options. They even had a station preparing Pad Thais on demand. Bike Check-in: do it in the morning to avoid the queues! The process was quite fast but I arrived there for the bike check-in at around 2 pm and there was a long queue. Not fun to wait for over 20 minutes under the rain. Race Briefing: 30 minutes packed with important info about the race. The videos showing the bike and running courses were great. Arrive a few minutes before the start to guarantee yourself a seat. One of the reasons I’ve decided to stay at Angsana hotel was the extra sleeping time on the race day. From my room to the transition area it took about a 10-minute walk. Even though I’ve woken up at 4:30 am, enjoyed a hearty breakfast and I was at the transition area before 5:30 am. 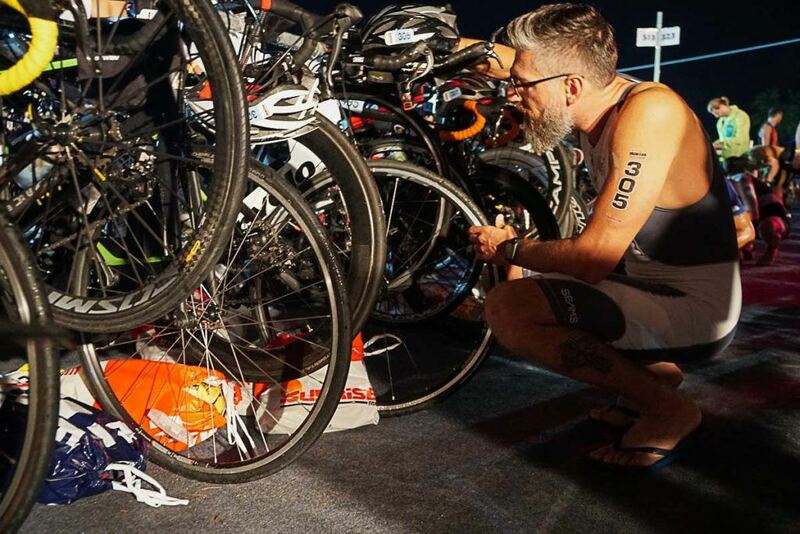 Time to double check the bike tires, tools, gear bags and the last look around the transition area to not be lost after swimming. I’ve used the tents and flags behind the transition area as reference, my bike was at the last row in front of the third tent and a yellow flag. I always walk around the transition area to memorize the quickest way out. The Pros started at 6:20 am and the Age Groupers started at 6:30 am. 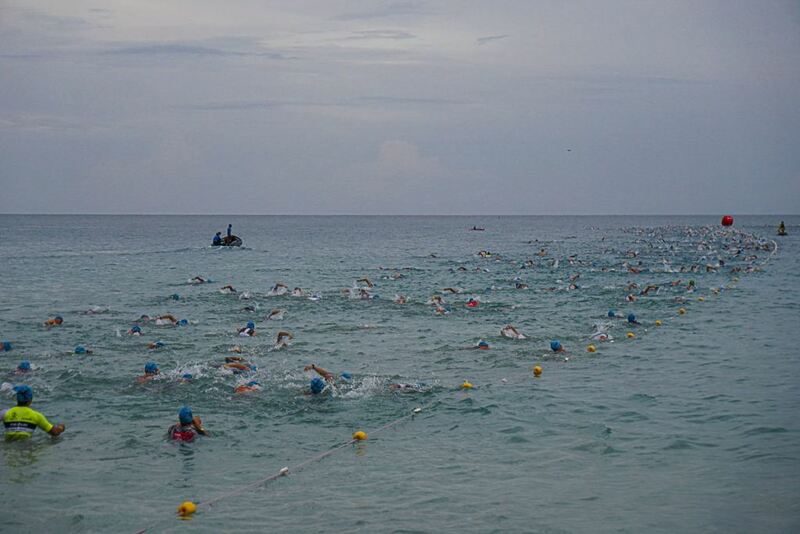 The Age Groupers were divided by their estimated swimming time and released on waves. While waiting to start I met 3 Brazilian fellows and also one of our readers recognized me, hello Simon! The chatting before the race always helps relief the stress. Off to the water! The swimming course was fairly easy to navigate, a clockwise course with the first buoy located 400 meters from the beach, then a right turn and 700 meters until the next buoy where we made another right turn, 300 meters, another right turn and 400 meters to where the last buoy was. Finally we made a left turn to swim the last 100 meters. I’ve stopped twice to clear my goggles, I didn’t feel any current and I found the water temperature perfect. To be honest I didn’t train properly for swimming but focused on gaining strength, especially on my shoulders. It worked well, I was expecting to swim the 1,900 meters in 40 minutes and it took me 38 minutes. There was a shower just before entering the T1. The bikes were on racks and the gear bags were placed under the bikes. It was quite easy to navigate through T1. 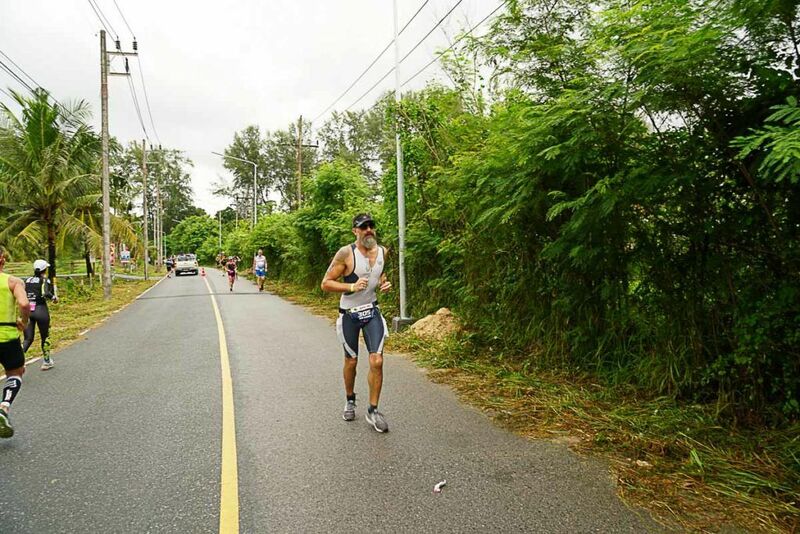 The 90 kilometers course was quite challenging, only 1 lap around the north of Phuket island. From kilometer 10 to 22 there was a very technical hilly portion. Going up was tough and riding down was quite dangerous, my hands were hitting the breaks all the way. Highway 402 was great, we cycled for about 30km on a good pavement with easy ups and downs. From kilometer 54 to 64 we rode on a narrow and empty road, a few ups and downs there as well. After that we were back to busy roads till the end. There were 4 aid-stations at kilometers 23, 42, 60 and 78. In my opinion, they should add one more aid-station in the beginning of the course. As I mentioned before, I cycled with a Cervelo P2 provided by Bikezone Thailand, I can’t recommend them enough! Time: 3:12 hours, it was ok, not great, but ok. My average BPM was 130, clearly I could have pushed a bit more. Back to the same transition area where I made my biggest mistake on this race. I haven’t planned, neither trained my nutrition and relied only on a Mass Gainer shake on T2 and the shake really upset my stomach. The running course consisted in 2 laps and it was basically flat. From the transition area we ran towards the National Park for the first u-turn, then a left turn to the next u-turn, another left led us back to the same road till we made another left to Laguna Phuket road for the u-turn at Cassia Hotel, then repeated. The good thing was everything was well marked and there were aid-stations every 2 kilometers. The bad thing was, some aid-stations ran out of Pepsi and ice at around 12:10 pm. The road between Km 0.5 and Km 6 and between km 10.5 and km 16 was quite narrow and having cars driving behind us or even overtaking runners wasn’t a good experience. Hope the organisers can get a permit to close this road for next year’s race. Time: 2:23 hours, I was expecting to finish it in less than 2 hours, but my upset stomach kept holding me back. Overall time: 6:26 hours, considering my not enough trainings and being my first Ironman 70.3, I was quite happy with my result. There is room for improvement, especially on the nutrition side. Crossing the finish line was the best part of the day. I got my medal and my finisher shirt and ran, actually walked, to the food area. Again the organisers did a great job by offering a huge selection of food, all dishes that I’ve tried were delicious. Loads of fruits and Thai sweets were available as well. I skipped the massage and medical support but jumped into one of the pools filled with ice cold water to relax my muscles. The best part? They were giving away Singha beers, the lady was so kind to bring me beer to the pool. I really enjoyed the friendly atmosphere at the finishing area, especially the fact that family and friends were allowed there. In some races this doesn’t happen and the athletes are in a rush to leave to see their beloved ones. I believe it didn’t take me 5 minutes to collect my stuff and complete the check out. Faster than my T1 and T2… LOL . 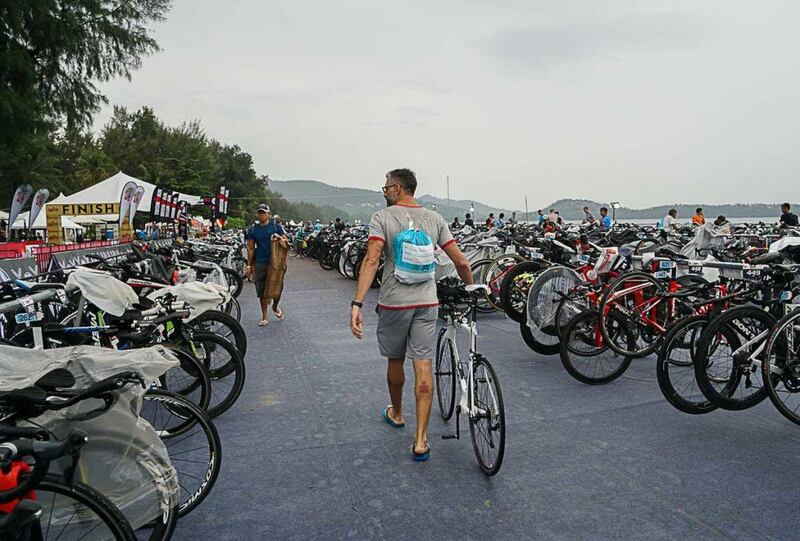 I can say that the Ironman 70.3 Thailand in Phuket was a great and well organised race. The swimming was done in calm and very clean waters, the bike course was challenging and beautiful, and the running course was fairly easy. It is very likely that I will race it again in 2018. Not only Phuket should be on your travel itinerary to Thailand, after the competition having your medal on your chest take time to explore the other islands, the countryside and Bangkok. A perfect Thai trip needs to have a stop by Chiang Mai [read here our guide to explore the best of Chiang Mai and also a coffee and trekking experience]. Bangkok is a must! If it’s your first time in Thailand’s bustling capital read our ultimate guide to things to do in Bangkok, where to stay and how to get around. If you have already traveled to BKK, have a look on our special list of unique and cool things to do in Bangkok beyond the top attractions. 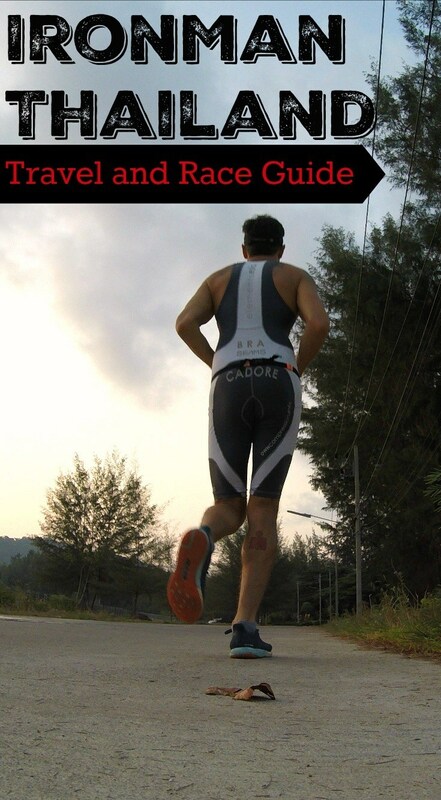 For all the triathletes that are traveling with your beloved one, we also have you covered. We have a romantic guide to Bangkok, and also an itinerary with the most romantic hotels in Thailand. What about you? 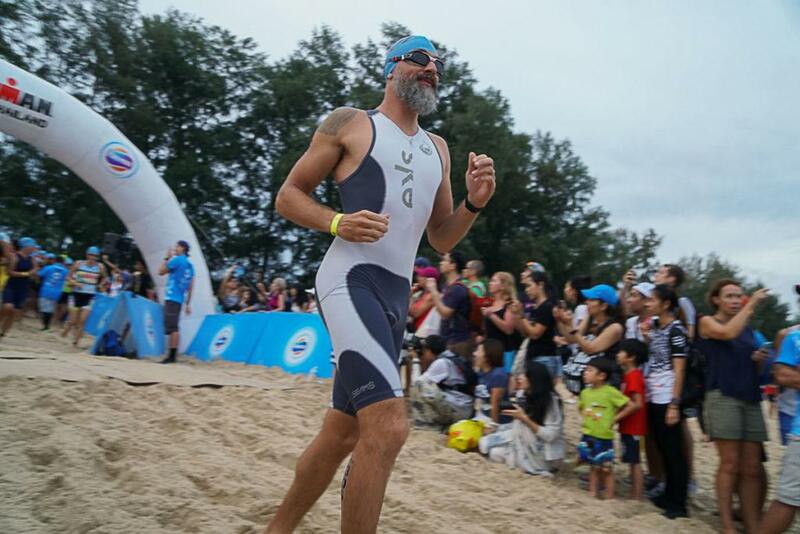 Have you ever raced a triathlon competition? Would you race Ironman Thailand in Phuket? What a coincidence, right? 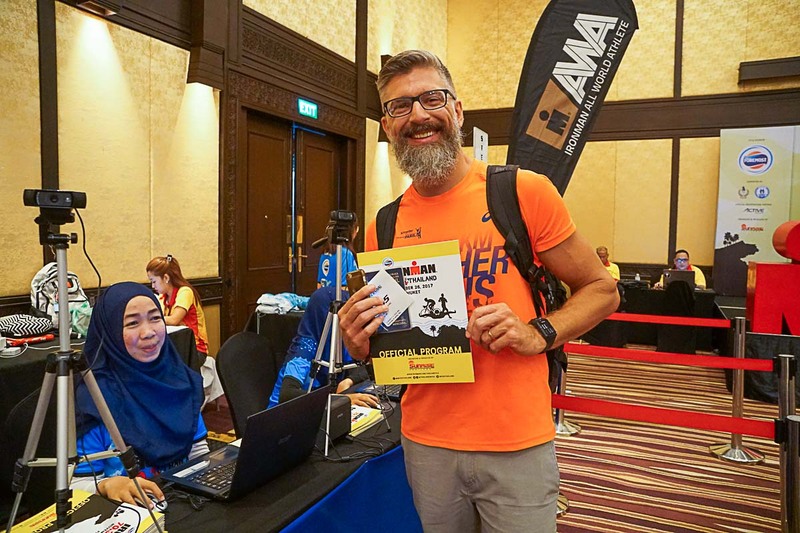 I ran Langkawi last year and James raced in Phuket. For sure we will keep in touch. I did this race last year and it was great. 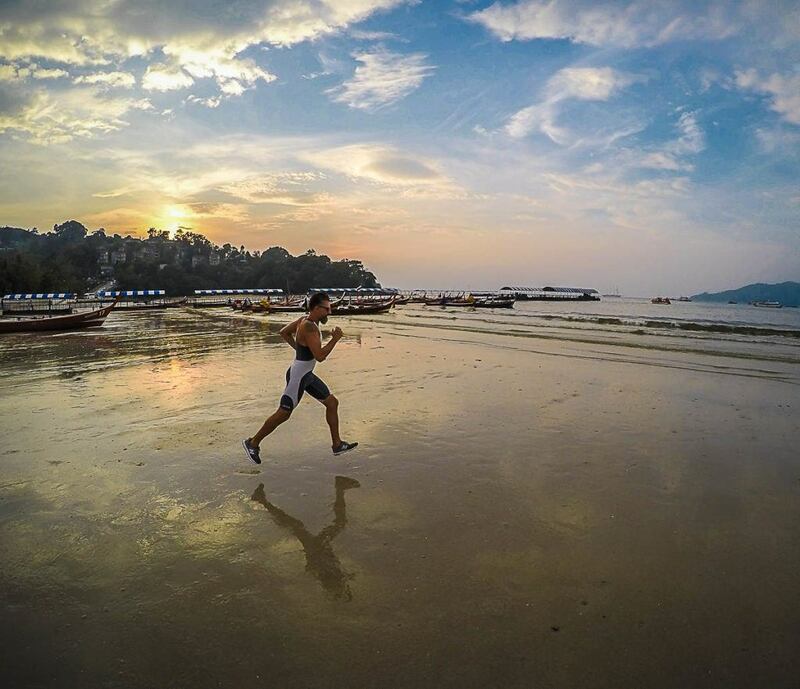 Very well run considering it was Sunrises first on Phuket. They did change the bike course back onto the foot bridge which isn’t great. 1000+ going over a bridge designed for pedestrians doesn’t really work. But as its the same for everyone it doesn’t effect your time anymore than anyone else. Make sure you push hard to the bridge so that there isn’t so many people there is a good bit of advice. Also its very bumpy as you leave Phuket onto the mainland and you can loose things that aren’t strapped on really well. The after party at the finish was brilliant. Family can mix right at the line and the Singha beer sponsor was supplying free beer to all finishers. Enjoy the race. It will be as hot as Langkawi or maybe even hotter. Look forward to reading your race report. Thanks for the tips, I’m very excited for this race. It will be my first 70.3. See you in Bang Tao! Greetings from Phuket! The weather is terrible warm…. Happy to help! A heads up, they changed the bike course to avoid the mount/dismount pedestrian crossway. It will be a bit hilly now. Great bike choice! I rode a Felt B12 on my first Ironman. So, how was it? I’m toying with entering in 2018. It was awesome! Just added the race review to the article. Hope to see you in Phuket on 2018! Great write up of the race. The bike sounds tough but an improvement on getting across a pedestrian bridge twice like last year. I have to agree that their after race area is one of the best I’ve seen while racing and with the added bonus of being able to mingle with family and friends straight away. Any ideas on your next race yet? Europe perhaps. I’ve signed up for another full later in the year although not in Asia this time. Yes, a good improvement from last years. And it was the best after race area I’ve ever been to. Haven’t decided yet but I really want to do another 70.3 this year. Good luck on your trainings and hope to see around Europe! What a great race review with helpful advice and fabulous pics !! have been thinking about doing this one as my first 70.3 and your review has definitely helped in sealing my decision.. Many Thanks !! Phuket was an excellent race, highly recommend it. Just keep an eye on their website because this years edition was postponed.